This month, as Admiral Watson finishes his move back to Washington, DC, we have a special interview with Pole Star's Julian Longson. Why a special interview with Pole Star? Well, Pole Star was the first commercial vessel tracking company to offer free automatic Amver reporting to its customers. Several other companies, including Transas and Marine Track, now offer free automatic reporting to Amver as well. If your vessel is enrolled in Amver and a customer of any of these companies, feel free to ask how you can take advantage of this program. The Quarterdeck theme song is Botany Bay by the Blaggards available on musicalley.com. In a disturbing video the captain of the M/V Leopard, an Amver participant since 1997, makes a plea for the safety of his crew. The Leopard crew, two Danes and four Filipinos, is being held by Somali pirates in a safe haven on shore. You can learn more about the plight of seafarers by visiting the Save Our Seafarers website. After our 53 years you'd think a person or organization would develop a bit of a swagger. While we're proud of our heritage and may take a bit of liberty and stick our chest out, we're cognizant of what made us the respected organization we are today. You did. Without the collective agreement of the world, that allowing the United States to know their whereabouts at sea is a good thing, this experiment in search and rescue would have been a failure. Instead it has blossomed. So the party hat is coming off and we're celebrating you, the seafarer, for enrolling in Amver. Here are the latest ships helping ensure no call for help goes unanswered. Thank you for reading what we have to share, thank you for listening to our monthly podcasts, and thank you for simply supporting our notion that the world can voluntarily work together to save lives at sea. The National Oceanic and Atmospheric Administration recently posted some frequently asked questions about the debris field left after the Japanese earthquake and tsunami this past March. After the earthquake several Amver participants had questions about safe shipping in the area. There were also several Amver vessels damaged in the tsunami. This debris information should help in further voyage planning. NOAA is also asking for your help in reporting debris fields when you spot them. We learned about this release by reading Dennis Bryant's blog. If you don't read Dennis Bryant's blog every day you should. That's where we learned about this amazing website. The Amver participating bulk ship Okiana was on a routine voyage from Savannah, Ga. to Cristobal, Panama when the ship was requested by U.S. Coast Guard rescue personnel to divert and assist a fishing vessel in distress approximately 54 miles east of San Andres Island, Columbia. Captain Leonardo Guieb quickly guided the 652 foot ship towards the fishing boat, which was only 23 miles away. Captain Guieb ordered the crew to prepare rescue equipment, readied the thrusters and switched the steering to manual. Lookouts were posted and the Captain continued to update rescue authorities in Miami, Fla.
Once Captain Guieb was alongside the disabled fishing vessel his crew embarked one of the four fishermen to discuss possible repairs to the disabled craft. Despite the best efforts of the Okiana crew, they were unable to fix the boat. The three remaining fishermen boarded the Okiana and were given food, water, and accommodations. Their fishing boat was left adrift and the survivors were taken to the Panama Canal where they disembarked. Once aboard the Singapore flagged Okiana the fishermen told Captain Guieb they had been adrift for 20 days surviving on dried fish. When congratulated by the Amver staff for a job well done, Captain Guieb replied in an email "We just did what we believe is our moral obligation to render assistance to anyone who is in peril in the sea." Well done Captain Guieb and the crew of the Okiana! We just learned that the Greek Amver participating ship Nena C rescued six Indonesian people, including a 10 year old boy, after their small boat capsized near Buru Island, Indonesia June 17, 2011. 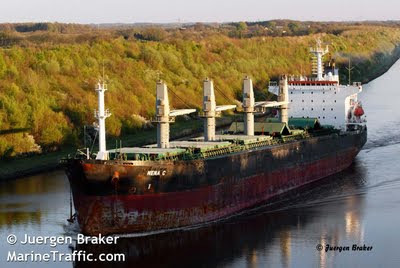 The 606 foot Panamanian flagged bulk carrier was on a voyage from the Philippines to Australia when they encountered the people in the water. "After sighting people in the water without any lifesaving devices the crew immediately commenced man overboard maneuvers," stated the Captain of the Nena C in an email to the Amver center. "The weather was fresh with a light south southeast breeze and moderate seas up to 2.5 meters," he added. Lookouts were posted and a rescue boat was launched. Four survivors were immediately rescued by the boat crew while the lookouts directed the rescue boat towards two additional survivors. Within two hours of locating the people in the water they were all safely aboard the Nena C.
The survivors stated they were sailing in a speed boat from Buru Island to Ambon City when their boat capsized and sank. The survivors were transferred to Coast Guard authorities at the entrance of Teluk Kayeli Bay and taken to Namlea Port. The Nena C, managed by Fairsky Shipping and Trading Company of Athens, enrolled in Amver in 1998. It's that time again. 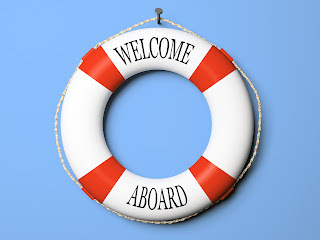 Time to welcome the latest members enrolled in the Amver system. Who are these mariners that make themselves available to save lives? Take a look! 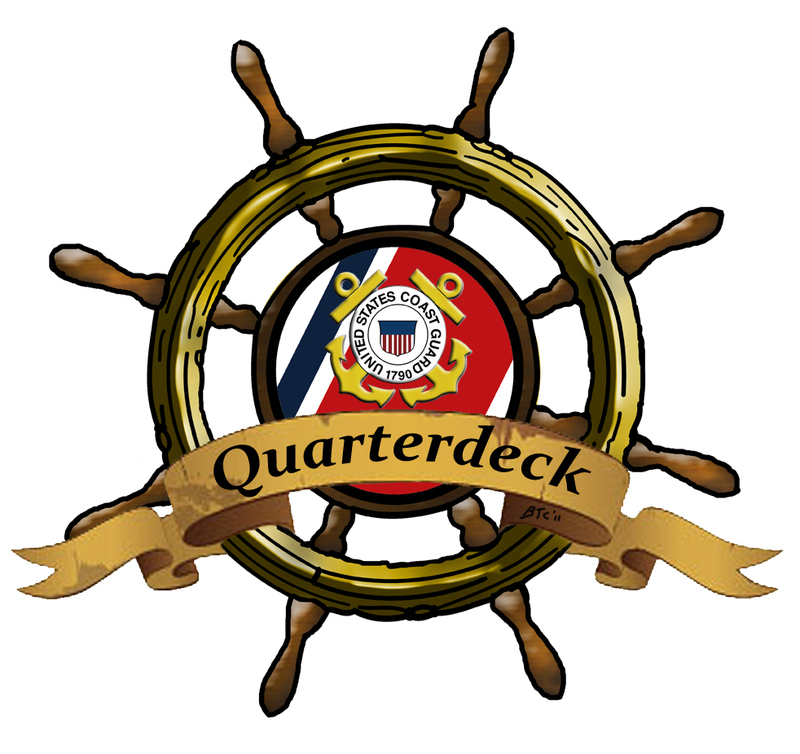 Don't forget the Amver podcast, The Quarterdeck! Historically Amver has celebrated its anniversary on July 18th. But this document, recently discovered in the Amver archives, actually pins the anniversary on June 30, 1958 at midnight GMT. Is Amver still relevant? The recent cruise ship sinking in Russia demonstrates that a coordinated way to organize commercial vessels remains important. Systems such as Amver that link commercial ships and rescue authorities are critical to saving lives at sea. Thank you seafarers for ensuring no call for help has gone unanswered for the last 53 years. Here is a short video update on our recent Amver rescue of two sailors in the Gulf of Mexico. The crew of the Amver participating Ro/Ro, Green Lake, had to rescue one of their own when a 54 year old crewman fell off a ladder and went overboard on June 29, 2011. The crew of the U.S. flagged ship immediately threw a life ring and smoke flare as the ship turned to retrieve the man, said a report from Bernews.com. 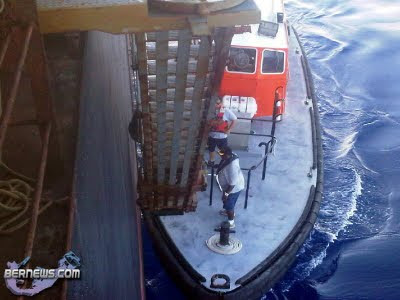 The ship diverted to Bermuda and met a pilot boat where the injured crewman was transferred and taken to an ambulance. He was then transported to a hospital, reportedly suffering from injuries to his collar bone and ribs. The Green Lake continued on its voyage to Texas. The Green Lake enrolled in the Amver system on February 15, 1999 and has earned 10 awards for participation. Is thank you enough? Probably not but we need to thank you anyway. Why such praise? Because 93 vessels enrolled in the Amver system last week. What does that mean? It means situations like this and this can be resolved successfully. Who are these vessels? Take a look! 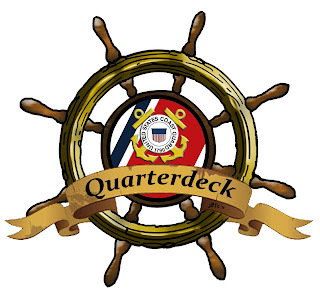 Remember you can learn more about Amver by listening to the Amver podcast, The Quarterdeck! The combined efforts of a Greek Amver tanker and the U.S. Coast Guard Cutter Tahoma saved the lives of two sailors in the Gulf of Mexico Wednesday July 6, 2011. The two male sailors, a 70 year old and his 35 year old companion, were on a journey from Bay St. Louis, Miss. to Guatemala in a 30 foot sailboat when they suffered rudder damage 180 miles east of Key West, Fla. Using the Amver system, Coast Guard rescue authorities identified the Greek tanker Petalouda, managed by the Samos Steamship Company of Athens, Greece. The Patalouda was only 40 miles away from the drifting sailboat. The captain of the Patalouda turned the 598 foot tanker towards the distress location and ordered the crew to prepare for rescue operations. While the Bahamian flagged tanker was en route, the Coast Guard launched a C-130 search aircraft from Air Station Clearwater and requested the Coast Guard Cutter Tahoma to sail towards the scene. Going down with the ship? The Patalouda arrived on scene and launched a small boat to assess the situation on the sailboat. After determining the rudder could not be fixed the younger sailor was taken aboard the tanker. The 70 year old absolutely refused to come off the sailboat, refused to talk with rescue authorities on the radio, and cut the tow line between his boat and the Amver ship. Rescue authorities allowed the Patalouda to depart the scene with the younger survivor and sail to their next port of call in New Orleans. Several hours later the Coast Guard Cutter Tahoma, with the assistance of the search aircraft, located the sailboat and took it in tow. The 70 year old sailor was convinced to board the Tahoma and was given a medical examination and food. The Tahoma towed the sailboat to Key West, Fla. where the boat was moored and the survivor disemabarked. Lloyd's List has announced their shortlist for their Global Awards to be held at the London Hilton Park Lane on September 20, 2011. Amver has enjoyed a long relationship with Lloyd's List and nominates vessels for the Amver Assisted Rescue at Sea Award. We typically identify ten ships for special awards and they are submitted to Lloyd's List for review. The night of the awards ceremony the winner is announced. This year we took a different approach, aligning with the rest of the Lloyd's List awards and announce a "shortlist" of three award nominees. Here are the vessels nominated for the Lloyd's List Amver Assisted Rescue at Sea Award, sponsored by Inmarsat. M/V Crystal Pioneer & M/V Hokuetsu Delight for the rescue of 64 students from the Canadian sailing vessel Concordia which sank 344 miles off the coast of Rio de Janiero. 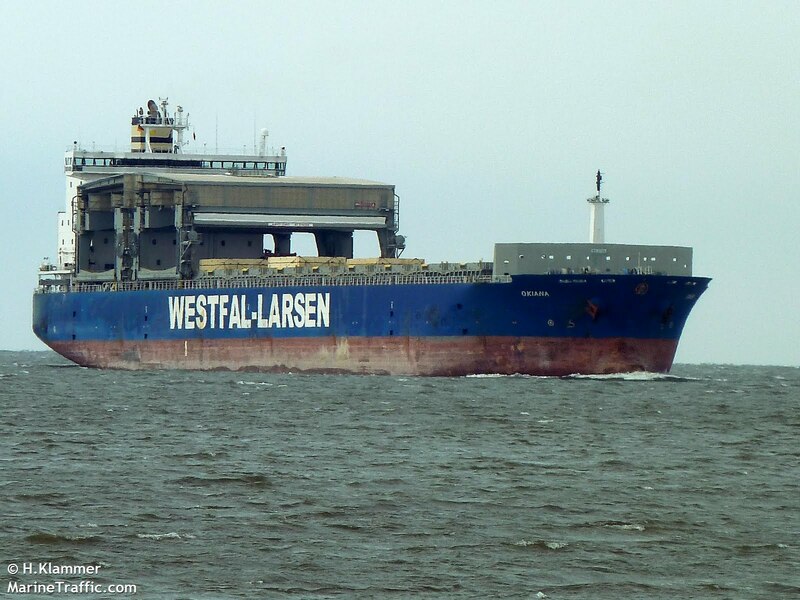 M/V Torm Esbjerg for the rescue of a lone sailor and his dog after their sailboat caught fire and sank. M/V Vega for the rescue of the crew of the factory fishing vessel Athena. Congratulations to all the Amver nominees! Thank you Lloyd's List and Inmarsat for continuing to recognize the efforts of Amver seafarers. CNN has reported Russian emergency officials are responding to a cruise ship sinking on the Volga River about 450 miles east of Moscow. 182 people are reportedly aboard the vessel. Amver has a strong relationship with Russia, the Russian commercial maritime sector, and the Russian Federation emergency response community, EMERCOM. Falmouth Coastguard successfully coordinated the rescue of 13 Indian crewmen from a disabled tanker in the North Arabian Gulf, after crew members contacted Falmouth Coastguard to report that they had been stranded for several days and crew were beginning to fall ill.
On the morning of the 29th June, Falmouth Coastguard received an emailed mayday from the master on board the Motor Tanker Pavit, reporting that they had suffered engine failure two days before and were taking on water through the shaft bearing. They also reported that, in the severe weather conditions, many of the crew were suffering from seasickness, with four of them considered to be seriously ill. Their stated position was 120 nautical miles from the Oman coast. After liaison with the owners of the vessel, the crew on board and the Middle East Authorities, Falmouth Coastguard were able to arrange for a Royal Navy Warship – HMS St Albans and an Indian products tanker (Jag Pushpa) to go to their aid, which arrived at 8.00 am yesterday morning. HMS St Albans arrived on scene yesterday morning and utilising their helicopter winched the crew off the Pavit and transferred them over to the Jag Pushpa, where a doctor from St Albans had been placed to offer medical assistance. The Jag Pushpa has agreed to take the crew members and repatriate them back to India. This was a desperate situation for the crewmen on board, who had been without engines for three days in severe weather conditions, and reported that several crew members had fallen seriously ill.
Falmouth Coastguard has spent two days working with the Middle Eastern authorities to try and send aid to the stranded vessel, and are pleased that working with the Royal Navy, this has been achieved. The Indian flagged tanker Jag Pushpa has been an Amver participant since 1997. MRCC Falmouth personnel should also remember that Amver provides information to all rescue coordination centers during maritime emergencies. 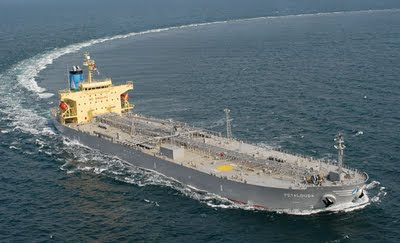 According to a U.S. Navy press release, the crew of the Amver participating tanker Brilliante Virtuoso was rescued by the USS Philippine Sea after the tanker caught fire in the Gulf of Aden early July 6, 2011. Brilliante Virtuoso, a 144,000-ton very large crude carrier, was approximately 20 nautical miles southwest of Aden, Yemen when they issued the call which stated they believed they were under attack by suspected pirates and required assistance. The motor vessel was travelling eastbound from the Suez Canal through the Gulf of Aden at the time of the attack. Shortly after the suspected attack, Brilliant Virtuoso reported a fire on board which was beyond their control and that their intention was to abandon ship. Philippine Sea, operating under Combined Maritime Forces (CMF), responded to the distress call. Upon their arrival, they observed smoke coming from the superstructure of the ship and that the crew had abandoned ship in a life-raft. They found no evidence of pirates and concentrated their efforts on assisting the crew members. The owner of Brilliante Virtuoso has confirmed that all 26 Filipino crew members have been recovered safely by Philippine Sea. The Brilliante Sea enrolled in the Amver system January 1, 1993 and has earned 12 Amver awards for participation. Four sailors and a cat are celebrating their nine lives after a hair raising rescue. The group was sailing their 30 foot sailboat from Cabo San Lucas, Mexico to their home in Oregon. "We struck a submerged object and lost steering," stated one of the yachtsmen. The sailors sent out several distress calls and the Hong Kong flagged container ship OOCL Guangzhou heard their call for assistance and diverted to render assistance. The Captain of the OOCL Guangzhou, which enrolled in the Amver system on June 22, 2010, embarked the four sailors after attempts to repair the sailboat failed. Once the sailors were safely aboard the OOCL Guangzhou the Captain radioed the United States Coast Guard and arranged to meet with the Coast Guard Cutter Galveston Island. The container ship and Coast Guard Cutter rendezvoused near Oahu, Hawaii and the survivors were transferred aboard the Galveston Island. The Day of the Seafarer has come and gone but that shouldn't diminish our thanks and respect for those that go to sea. Each week we recognize those vessels that have enrolled in the Amver system, a way of saying thank you to them for making themselves available to rescue fellow mariners if necessary. 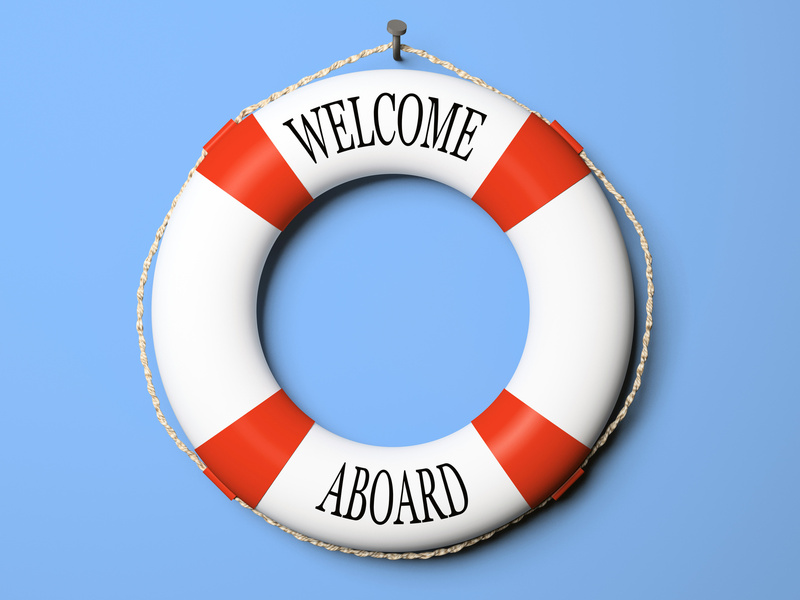 Help us welcome the latest members of the Amver system. Don't forget to listen to the Amver podcast, Quarterdeck!